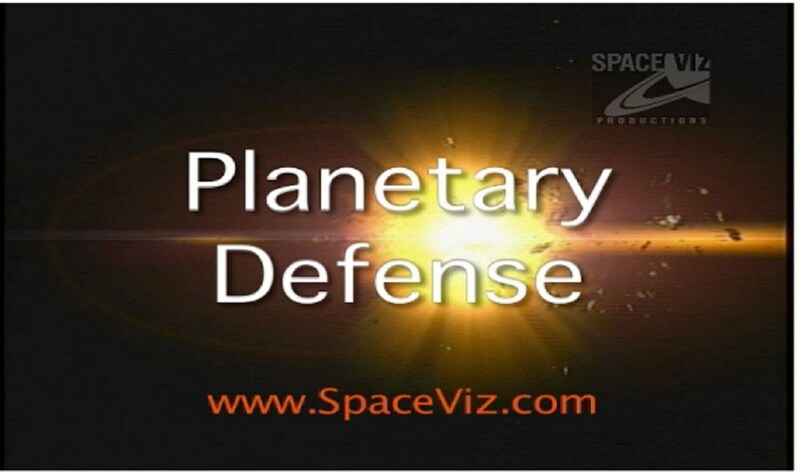 In December 2008, when talking about Earth-threatening asteroids, I referred to Planetary Defense, an excellent documentary film made by Canadian filmmaker M Moidel, who runs the Space Viz production company. Since its 2007 release, the film has inspired discussion and debate. It had its global premiere at the UN Headquarters, and been screened at high level meetings of people who share this concern. It has also been broadcast on United Nations TV and various TV channels, and is available on DVD. Synopsis: Scientists and the military have only recently awakened to the notion that impacts with Earth do happen. “Planetary Defense” meets with both the scientific and military communities to study our options to mitigate an impact from asteroids and comets, collectively known as NEO’s (Near Earth Objects). Who will save Earth? How did you choose this topic for a scientific documentary? I take a great interest in writing/filming subject matter which is so big, that it should shape the way we go about our daily lives, like if we contacted extra-terrestrials (ETs), or colonized Mars. Those big events would have major consequences on our re-thinking of our real place in the Cosmos. The threat of being wiped out by an asteroid is similarly humbling. Most of us don’t think about Extinction Level Events on a day-to-day basis and what we might do about it. How realistic are the prospects of a large enough asteroid colliding with our Earth? I like to present the options where we have the ability to change our destiny (or not act upon it at all). That’s a story that interests me. (Besides, it’s the ultimate literary conflict: Man vs. Nature!) It’s that ability to do something about possible calamity (as Neil deGrasse Tyson, Astrophysicist and Frederick P. Rose Director of the American Museum of Natural History, says in my film) that leaves the viewers “scared for our future, but empowered to do something about it”. What was the most surprising element you uncovered during your information research for this documentary? • The fact that only a handful of people, a hundred or so around the Earth, are working on the NEO Mitigation Hazard issue. • The fact that so few people think about something that is unlikely to happen in our lifetime — but the consequences of not doing something about it are too horrible. • The fact that we COULD do something about it, unlike the dinosaurs, because we have a Space Programme! • The fact that there is so little day-to-day concern or knowledge about it among ordinary (non-technical) people. • The fact that so little (sustained or pulsing) force is required to move a big asteroid or comet (once it is de-spun) so that it misses the Earth entirely. What were the reactions to your film ‘Planetary Defense’ when it was first released in 2007? Prior to the final edit, I sought out editorial reviews from the key participants. The scientists who participated in it also advised me as they each received advance copies. I listened to each expert and made appropriate changes so I knew the content would be spot-on. The reaction, upon release, was spectacular! There are four major reviewers of educational content in the United States. To get a review from any one of them is not easy. “Planetary Defense” received two of the four with simultaneous reviews in both “Booklist” (Chicago) and “The Library Journal” (NYC). Following that, the United Nations TV premiered it understanding immediately how this is a global issue. It has aired in Canada a few years running. The infamy was not comparable to the effect of Orson Welles’ (1938) CBS radio broadcast of H. G. Wells’ novel “The War of the Worlds” (1898) elicited on the public; but I was happy with the appreciation from both the scientific and educational communities. Spaceguard is a scientifically credible concept, yet it has not received too much political support. Why? For two reasons. One, policy makers have limited budgets. They ask: “Who was the last person to die from an asteroid impact? After the laughing subsides, the vote is taken (if any) that this issue can be kicked down the line for a few more years, to the next administrations’ budget. Two, the second reason is also sad. Humans have very little memory for horrible events unless it happened to them, as a people or a country. For example, outside Indian Ocean rim countries and Pacific island nations (that are exposed to tsunami hazard), how many westerners really empathize and think regularly about tsunamis? About 250,000 people perished in the Boxing Day tsunami of 2004, and yet it’s a bygone memory outside those affected areas. Can the Siberian meteorite on 15 February 2013 change this? Siberia just experienced an actual airburst, a one in a 100 year event. This time around, unlike the 1908 Tunguska event, there were plenty of video cameras to record the event from all angles. After going viral for not even a week, the story has died down from the news (not enough devastation or death?) and people are going about their daily business. Although the Russian government is now calling for Space-faring nations to cooperate and work on a Space Defense or Planetary Defense, it might take a few more near-misses, on a regular basis, to make any real ‘impact’ in human beings acquiescence to this threat! What, in your imagination, is the best thing that can happen for political leaders to take NEO impact threat more seriously? ‘Planetary Defense’ sounds a bit Utopian on a highly divided planet? Well, that’s an excellent question. But at the risk of repeating myself, people have short attention spans — and shorter memories when it doesn’t affect them directly. What’s odd is it does affect all of us directly — and we can do something about it! It is not cost-prohibitive either to search for NEOs, test deflection mechanisms or actually engage in a defensive mission. Currently, NEO searches are being done on minimal budgets. The how-to’s are being thought out by some of the greatest minds on the planet. The military is (also) awakening to the threat. The recent airburst over Siberia has fueled Russian interest in Space Defense technology. Decades of planning, command and control, NEO characterizations and deflection techniques — all these are critical in mitigating impacts with the Earth. All these aspects are covered in my film (aside from an overview of the subject). The road map is in place! For all these reasons and more, my film is still very timely! So yes, we can all come together to work on this because it’s not cost-prohibitive (and the cost of doing nothing is simply…unthinkable). Sir Arthur C Clarke, who gave you an interview, called Planetary Defense ‘one of the most important documentaries made’. Why? 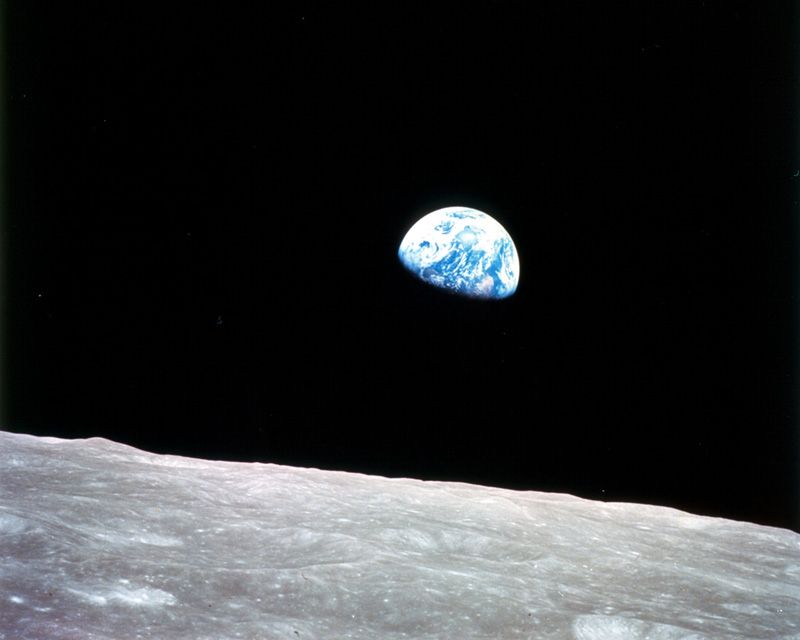 Humanity’s view of ourselves changed in 1968 after seeing Earth as a whole planet floating in the darkness of Space (Apollo 8 photographs). 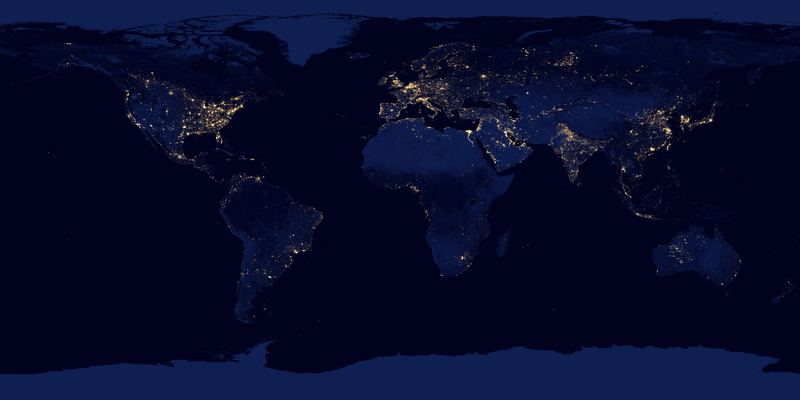 From then on, we started thinking a bit more globally. Perhaps it won’t take a deadly impact nor a Utopian dream. Perhaps knowledge of the threat from ‘out there’ might finally imbue logic upon the denizens of Earth and we can act as one world (or at least one people) in the cause of self-preservation and the continuation of ‘life as we know it’. There is no “Plan B for Planet Earth”. This week’s Ravaya column (in Sinhala) is on what these night lights mean. 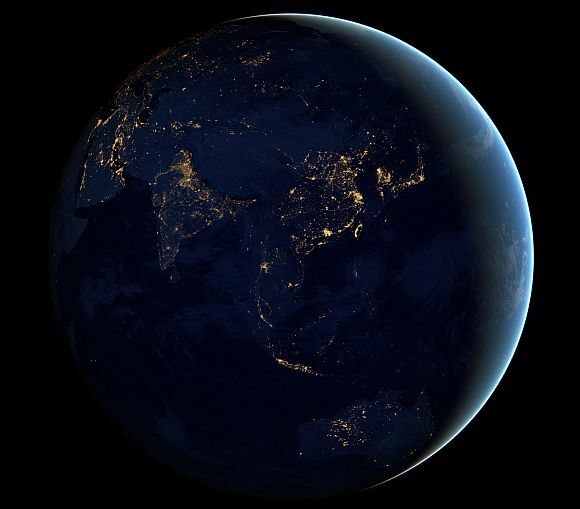 I talk to astrophysicist Dr Kavan Ratnatunga about understanding Sri Lanka at night as it can be seen from space. අප දිනපතා ජීවිතය ගෙවන්නේ තම තමන්ගේ යථාර්ථයේ ඇළී ගැලී සීමිත පරාසයක් තුළයි. එහෙත් ඉඳහිට හෝ පියවර කිහිපයක් පසුපසට තබා විසල් චිත‍්‍රය (bigger picture) බැලිය හැකි නම් අපේ දැක්ම හා චින්තනය වඩාත් පුළුල් වනවා. මුළු ලෝකය ම එයින් බැහැර සිට බැලීමේ තාක්ෂණික හැකියාව ලැබුණේ අභ්‍යවකාශ යුගයේ උදාවත් සමඟයි. පෘථිවි කක්ෂයට යවන ලද චන්ද්‍රිකා මඟින් පොළොව මතුපිට සිට කිලෝමීටර් සිය ගණනක් ඉහළින් ඡායාරූප ලබා ගැනීම 1960 දශකයේ ඇරඹුණා. 1969-72 කාලයේ හඳ තරණයට ගිය ඇපලෝ අජටාකාශගාමීන් කිමී ලක්ෂ හතරකට වඩා දුර සිට අපේ ග‍්‍රහලෝකය අභ්‍යවකාශයේ අඳුරු පසුබිම තුළ ලස්සන ජිල් බෝලයක් සේ පෙනෙන සැටි ඡායාරූප ගත කළා. 1970න් පසු ලොව පුරා මතුව ආ පරිසර සංරක්ෂණය පිළිබඳ උද්‍යෝගයට අභ්‍යවකාශයේ සිට ගන්නා ලද පෘථිවි ඡායාරූප ද දායක වූ බව පිළි ගැනෙනවා. අපේ ලෝකයේ ගති සොබා ගැන පුළුල් හැඟීමක් ලබා ගන්නට පමණක් නොවෙයි. භූමි පරිභෝජන රටා, ආපදා හා කාලගුණ තත්ත්වයන් නිරීක්ෂණයටත් චන්ද්‍රිකාවලින් ගන්නා ඡුායාරූප මහත් සේ උදවු වනවා. ඡායාරූප කීවාට දෘෂ්ටි ආලෝක පරාසය පමණක් නොව අධෝරක්ත (infrared) හා වෙනත් පරාසයන් හරහා ද අපේ ග‍්‍රහලෝකය දැන් නිරතුරුව ම නිරීක්සනු ලබනවා. අමෙරිකානු අභ්‍යවකාශ ඒජන්සිය වන නාසා (NASA) ආයතනය අපේ පෘථිවියේ රාත‍්‍රී චන්ද්‍රිකා ඡායාරූප එක් කොට මුළු ලෝකයට ම පොදු රූපයක් නොමිලයේ ඉන්ටර්නෙට් හරහා නිකුත් කිරීම ඇරඹුවේ 1994දී. එහිදී ආසන්න දින ගණනාවක් තිස්සේ ලබා ගත් ඡායාරූපවලින් වඩාත් ම ප‍්‍රශස්ත (වලාකුළු රහිත) ඒවා තෝරා සංයුක්ත රූපයක් සිතියම් ආකාරයට සකසනවා. ගෝලීය වූ ලෝකය ද්විමාන ලෙසින් නිරූපණය කිරීමේ විවිධ සිතියම් ප‍්‍රකේෂපන ක‍්‍රම (map projection) තිබෙනවා. වඩාත් දියුණු වූ චන්ද්‍රිකාවකින් 2012 වසරේ ලබා ගත් රාත‍්‍රී ඡායාරූප එකතුවක් දෙසැම්බර් මුලදී නාසා ආයතනය නිකුත් කළා. එයට යොදා ගත්තේ 2011 ඔක්තෝබරයේ කක්ෂගත කළ සුවෝමි NPP නම් චන්ද්‍රිකාවයි. ධ‍්‍රැවීය කක්ෂ මාර්ගයක ඇති මේ චන්ද්‍රිකාව දිනකට 14 වතාවක් ලෝකය වටා යනවා. 2012 අපේ‍්‍රල් හා ඔක්තෝබර් මාසවලදී කක්ෂවාර 312ක් පුරා හසු කරගත් අධෝරක්ත ඡායාරූප දහස් ගණනක් අතරින් හොඳ ම රූප සංයුක්ත කොට මේ අලූත් රාත‍්‍රී ලෝක සිතියම් නිර්මාණය කර තිබෙනවා. හිරු එළිය පතිත වී නැති විට අපේ ලෝකය දෙස අභ්‍යවකාශයේ සිට බැලූ විට කුමක් දැකිය හැකි ද? මිනිස් ක‍්‍රියාකාරකම් නිසා ජනනය වන වීදි හා නිවෙස් ආලෝකය, මුහුදේ නැව් හා බෝට්ටුවල එළි හා තෙල් ළිංවල මහා දැල්ල ආදියට අමතරව ලැව් ගිනි, ධ‍්‍රැවීය ආලෝකයන් (අවුරෝරා) ආදියත් දිස් වනවා. රාත‍්‍රි කාලයට ලෝකය දෙස බැලීමෙන් අපේ ලෝකයේ ජනාවාස සංකේන්ද්‍රනය වී ඇති සැටි තේරුම් ගත හැකියි. ‘‘මිහිතලයේ මානව ව්‍යාප්තිය හා සාපේක්ෂ සංකේන්ද්‍රනය ගැන දළ හැඟීමක් මේ රාත‍්‍රී රූප දෙස බලා අපට ලද හැකියි’’ මේ කේෂත‍්‍රයේ විශේෂඥයකු වන ක‍්‍රිස් එල්විජ් කියනවා. එහෙත් විදුලිබල පරිභෝජනය ලොව සෑම තැනෙක ම එක ලෙසින් සිදු වන්නේ නැහැ. උතුරු අමෙරිකාවේ හා බටහිර යුරෝපයේ රාත‍්‍රී ආලෝකයන් ඉතා දීප්තිමත්ව පෙනෙන අතර ඊට වඩා අධික ජන සංඛ්‍යාවක් වෙසෙන චීනය, ඉන්දියාව, ඉන්දුනීසියාව හා බ‍්‍රසීලය වැනි රටවල රාත‍්‍රි ආලෝක සාපේක්ෂව අඩුයි. 1994 සිතියම් සමඟ මේ වසරේ රාත‍්‍රී සිතියම සසඳන විට ආසියාවේ හා ලතින් අමෙරිකාවේ විදුලි ආලෝකයේ පැතිරීම ව්‍යාප්ත වී ඇති සැටි පෙනෙනවා.බිලියන් 7.2ක් වන ලෝක ජනගහනයෙන් අඩකටත් වඩා දැන් වාසය කරන්නේ නාගරික හා අර්ධ නාගරික ප‍්‍රදේශවල. 2050 වන විට එම සංඛ්‍යාව ලෝක ජනගහනයෙන් සියයට 70ක් වනු ඇතැයි එක්සත් ජාතීන්ගේ සංවිධානය අනුමාන කරනවා. බොහෝ නගර බිහි වී ව්‍යාප්ත වී තිබෙන්නේ වෙරළ ප‍්‍රදේශ හෝ ප‍්‍රධාන ගංගා නිම්න ආශ‍්‍රිතවයි. මේ බව රාත‍්‍රී එළි සිතියම දෙස බැලූ බැල්මට ම පෙනී යනවා. අමෙරිකාව හා ඉන්දියාව වැනි විශාල රටවල ප‍්‍රධාන මහාමාර්ග දෙපස ජනාවාස අධිකයි. මේ මාර්ගවල විහිදීම වීදි ආලෝක නිසා අපට සිතා ගත හැකියි. ලෝක ජනගහනයෙන් සියයට 60කට නිවහන වන අපේ ආසියා පැසිෆික් කලාපයේ රාත‍්‍රී ආලෝක දෙස බැලීමෙන් ආර්ථික සංවර්ධනය හා මිනිස් ජනාවාස පැතිරී තිබෙන අසමාන රටාව තේරුම් ගත හැකියි. ජපානයේ හා නැගෙනහිර චීනයේ ප‍්‍රදේශ රැසක රාත‍්‍රිය දීප්තිමත් වී තිබෙන අතර, ඉන්දුනීසියාව හා ඕස්ටේ‍්‍රලියාව වැනි විශාල රටවල එය පෙනෙන්නේ කිහිප තැනෙක පමණයි. චීනයට සාපේක්ෂව ඉන්දියාවේ ජන ඝනත්වය ඉහළයි. මේ නිසා රාත‍්‍රී සිතියමේ ඉන්දියාව පුරා ම පාහේ එළි දැකිය හැකියි. එහෙත් ඉන්දියාවේ උතුරු දිග මායිමක් වන හිමාල කඳුවැටිය මුළුමනින් ම අඳුරුයි. හිමාලයෙන් උතුරට වන්නට ඇති චීනයේ අසංවර්ධිත බටහිර ප‍්‍රදේශයේ හා මොංගෝලියාවේ (චන්ද්‍රිකාවට හසු වන තරමේ) එකදු ආලෝකයක්වත් නැහැ. රුසියාවෙත් නාගරික කේන්ද්‍ර කිහිපයක් හැරුණු කොට විශාල ජනශුන්‍ය හෝ අසංවර්ධිත ප‍්‍රදේශ තිබෙන බව පැහැදිලියි. ශ‍්‍රී ලංකාවේ රාත‍්‍රී එළි තත්ත්වය කුමක් ද? ලෝක මට්ටමේ සිතියමක අපේ දූපත පෙනෙන පරිමාණයෙන් වැඩි විස්තර දැක බලා ගන්නට අපහසුයි. ශ‍්‍රී ලංකාවේ රාත‍්‍රී එළි කොළඹ හා තදාසන්න ප‍්‍රදේශවල වඩාත් ම ප‍්‍රබල අතර ඊළඟට වැඩියෙන් ම දීප්තියෙන් පෙනෙන්නේ යාපනය අර්ධද්වීපයයි. කොළඹට අමතරව මහනුවර, ගාල්ල, කුරුණෑගල වැනි ප‍්‍රධාන නගරවලත් රාත‍්‍රී ආලෝක පැහැදිලිව තිබෙනවා. යාපනය නගරයට උතුරට හා ඊසාන දිගට වන්නට කන්කසන්තුරේ සහ පේදුරු තුඩුව අවට දැඩි ආලෝකයන් පෙනෙනවා. 1994 හා 2003 චන්ද්‍රිකා රාත‍්‍රී සිතියම්වල මුළු උතුරු පළාතේ ම කිසිදු එළියක් සනිටුහන් වී නැහැ. යුද්ධ වකවානුවේ උතුරට විදුලි එළිය සැපයීම අඩාල වූ සැටි අප දන්නවා. කලක් නාසා ආයතනයේ හබල් අභ්‍යවකාශ දුරදක්න පර්යේෂණවල නිරතව සිටි ජ්‍යෙෂ්ඨ තාරකා විද්‍යාඥ ආචාර්ය කාවන් රත්නතුංගගෙන් මේ උතුරේ ප‍්‍රබල ආලෝකයන් ගැන මා විමසුවා. ‘‘මේ තරම් ප‍්‍රබල එළි නිවාස හෝ ව්‍යාපාරික ආයතන නම් විය නොහැකියි. එහෙත් එයට හේතුව මට සිතා ගත නොහැකියි.’’ ඔහු කියනවා. යාපනයට අමතරව වවුනියා, අනුරාධපුරය හා ත‍්‍රිකුණාමලය නගර මුල් කර ගෙන ආලෝක සංකේන්ද්‍රනයක් පෙනෙනවා. එසේ ම මඩකළපුව හා ආරුගම් බොක්ක ප‍්‍රදේශයේත් පැහැදිලි එළි රැසක් තිබෙනවා. මහනුවර සිට යාපනයට දිවෙන කිමී 321ක් දිග A9 මහා මාර්ගයේ කොටස් රාත‍්‍රී එළි නිසා හඳුනාගත හැකියි. අවට දෙපස අඳුරේ තිබියදී මහා මාර්ගය දෙපස පමණක් එළි පෙනෙනවා. මෙබඳු ප‍්‍රධාන මාර්ගවල විහිදීම දිවයිනේ වෙනත් ප‍්‍රදේශවලත් දිස් වනවා. එහෙත් චන්ද්‍රිකා ඡායාරූපයකට හසු විය හැකි තරම් විදුලි එළි නොමැති ප‍්‍රදේශ රාශියක් අපේ රටේ තිබෙනවා. අඳුර වඩාත් ප‍්‍රබලව ඇත්තේ මන්නාරම හා කතරගම අවට ප‍්‍රදේශවල බවත්, ඒ නිසා මේ ප‍්‍රදේශ තාරකා විද්‍යාත්මක නිරීක්ෂණවලට වඩාත් හිතකර වන බවත් කාවන් කියනවා. මේ වන විට නාගරික ප‍්‍රදේශවල විදුලි ආලෝකය හා දූවිල්ල නිසා හරිහැටි රාත‍්‍රී අහස බලා ගැනීම අපහසු වී තිබෙනවා. තාරකා විද්‍යාඥයන් කළුවර අහස රැක ගැනීමේ ලෝක ව්‍යාප්ත වෑයමක් (Saving Dark Skies) දියත් කර ඇත්තේ මේ ප‍්‍රවණතාව නිසයි. අපේ දිවයිනේ ජන සංකේන්ද්‍රනය, නාගරීකරණය හා විදුලිබල පරිභෝජනය ගැන දළ වැටහීමක් මේ රාත‍්‍රී සිතියම් හරහා ලද හැකියි. අප සිතනවාට වඩා ඉහළ මට්ටමේ නාගරීකරණයක් අපේ දිවයිනේ සිදුව තිබෙනවා. 2030 වන විට මෙරට ජනගහනයෙන් අඩක් නගරවල වාසය කරනු ඇතැයි විශේෂඥයෝ අනුමාන කරනවා. මෑත සතිවල දී හඳුනා නොගත් ආලෝකයන් ගැන කලබල වූ සමහරුන් පිළිබඳව මාධ්‍ය වාර්තා අප දුටුවා. ඒ ගැන වෙන ම විග‍්‍රහ කළ යුතුයි. එහෙත් රාත‍්‍රියට අප තනිව හා සාමූහිකව ආලෝකය සමඟ කරන දේ සමස්තයක් ලෙස අභ්‍යවකාශයේ සිට දැකිය හැකියි. එසේ ම අප කැමති වූවත් නැතත් චන්ද්‍රිකා ඡායාරූප ඉන්ටර්නෙට් හරහා මුළු ලෝකයට ම නොමිලයේ බලා ගන්නට හැකියි. අප දැන් ජීවත් වන්නේ ගෝලීය වීදුරු ගෙයක (Global Glasshouse) බව අමතක කරන්න එපා!